In times of increasing virtualization of our emotions, people thirst for true authentic stories that are written by life itself, stories that we use to orientate ourselves and whose characters we can identify with. SUICIDE is based on true realities, a story between life and death, guilt and forgiveness, despair and hope. The book is currently only available in German. Inquiries by publishers or literary agents are welcomed. Stefan Lange, all rights reserved. 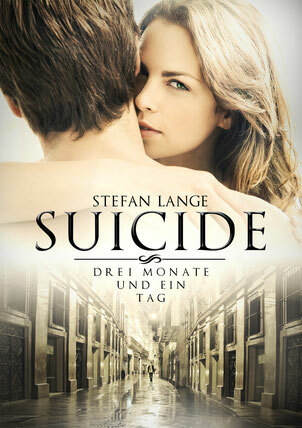 Play: The book SUICIDE was adapted in 2016 by a Munich theatre director for the stage and successfully performed several times. An agent is currently examining the possibilities of a nationwide distribution in Germany. For the theatre trailer (german), please click here! Video Reading: Stefan Lange´s YouTube-reading channel features a 20-part video reading at the book´s original scenes of action. Accompany Stefan Lange on a journey from Münster to Seville and Lake Constance (language: german). For more info, please click here! Stefan wakes up in his room after a dream. It is the (planned) penulitmate day of his life, October 18th, 1994. Stefan is calm and composed. He smokes a cigarette at the window and follows the hustle and bustle of the street. It could be a very normal day in his life. For a moment he feels the intense sensation of being alive, rarely has he felt is as clearly and as plainly as he does this morning. Stefan pushes the thought away with all his might. He packs his travel bag an goes to the cafeteria to strengthen himself for a long drive. Whether his neighbours at the table clearly notice that a man who has finished with everything is next to them? After lunch, Stefan leaves. Once again, he asks himself when the wish for death had overwhelmed him. Had everything started with a trip to Seville? Would you like to read the full long-synopsis of SUICIDE? Get your file here! 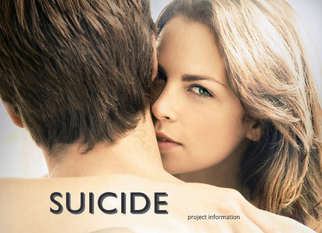 SUICIDE - a story made for the screen and the stage ! Get more infos about the target audience, and learn why this book should me made into a movie or theatre play. What makes it so suitable for the screen/stage? The brochure comprises the long synopsis of SUICIDE, the logline and much more background information. Get the full project information - send me an email!